Wexford Health has an exceptional opportunity for a Medical Director to join our team of healthcare professionals at Tutwiler Correctional Facility in Wetumpka, AL. The Medical Director is responsible for providing the overall supervision of the delivery of medical services at the correctional facility. The Medical Director attends patients, provides medical consultations for the medical staff and institutional officials, and functions as the liaison for clinical matters with medical providers outside the institution. The Site Medical Director is expected to function at the level of a Primary Care Provider (PCP), performing any skill a PCP would perform in an office. The incumbent coordinates the services of physicians, physician extenders (e.g., physician assistants, nurse practitioners, etc.) and any other medical professionals working within the medical facilities at their site. Participates in the development of medical/clinical policies and procedures. Serves as a liaison between the medical/clinical staff, correctional site operations, WHS’ regional and corporate staff, and Alabama correctional and medical leadership. The Medical Director ensures that all activities of the health care unit are conducted in accordance with standards of medical care delineated by state regulations, AMA and ACA standards. Evaluate all existing medical programs and assess the health care needs of the inmate population, making recommendations regarding medical programs or services as appropriate. Assist in designing and implementing policies, procedures and protocol for health care unit and medical staff. Report any problems and/or unusual incidents to the Health Services Administrator, Physician Director or Program Administrator. Attend staff meetings and participate on various committees as requested by the Health Services Administrator or designee. Conduct inmate sick call on days and at times authorized by the correctional facility. Examine, diagnose and treat inmates referred to the Medical Director. Review and/or monitor the staff physician review of all laboratory, x-ray and ancillary reports, and ensure that the review is documented on inmates’ charts. Assure examination and initial emergency medical treatment to all persons who are injured or become ill while on the premises. These persons shall then be referred to their personal physician of choice for necessary follow-up care. Provide 24-hour on call emergency care to the correctional facility. Provide minor surgical treatment at the institution as deemed medically appropriate to include suturing for minor lacerations. Formulate written individual treatment plans for inmates with medical problems, which include directions to health care and other personnel regarding their roles in the care and supervision of these patients. 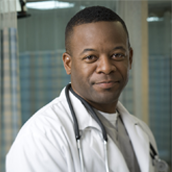 Conduct infirmary rounds, or ensure that another physician conducts rounds. Conduct intake and annual examinations on inmates as provided for by appropriate procedures or as dictated by sound medical practice. Participate in recruitment of health care staff as requested by the Physician Director. Evaluating services and treatment provided by other staff physicians, physician’s assistants/nurse practitioners and other health care staff. Properly completing employee evaluations for those employees under the Medical Director’s direct supervision in accordance with applicable Wexford Health policy. Assisting in planning schedules of health care staff to provide optimal coverage, when requested. Implement and direct the quality assurance program including, but not limited to, conducting audit and medical chart review procedures as identified in the Wexford Health QA manuals. Participate in and ensure that all new health care personnel are provided with orientation on site regarding medical practices. In conjunction with the Health Services Administrator, direct the development of the correctional facility’s continuing medical education curriculum and oversee a program providing in-service education and communicate such to the corporate HR Department. Participate in ensuring that staff members receive training as necessary to ensure proper performance of their medical duties. Provide verification to the Corporate Medical Director of admitting privileges at the hospital. Make referrals and arrangements with medical specialists as needed for treatment of those inmates with health problems extending beyond the scope and capability of on-site services provided (subject to the security coverage of the facility. Review the health care status of inmates admitted to outside hospitals to ensure that the duration of the hospitalization is medically appropriate. Ensure that discharge summaries are furnished to the correctional institution by the hospital in a timely fashion. Maintain the confidentiality of inmate records. Promote cost control through effective supply inventory, staff education, security and efficient use of supplies and resources. Provide input into developing needed policies and procedures. Actively participate in committee assignments. Standard medical setting in a correctional facility, which includes daily interfacing with inmates, correctional staff and health care personnel. Temperature extremes may be encountered while moving throughout the facility outdoors and indoors in buildings without air conditioning. TRAVEL: Minimal travel throughout region and state is required. Minimum of three (3) year experience in an institutional healthcare setting.